Certified. 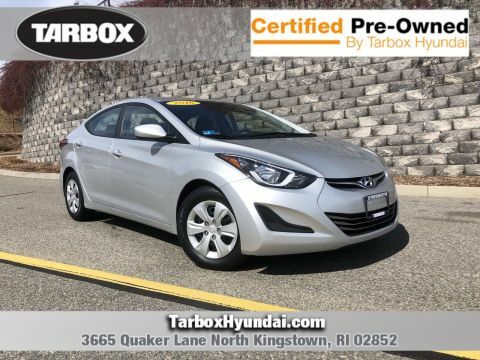 Silver 2016 Hyundai Elantra SE FWD Automatic 1.8L 4-Cylinder DOHC 16V Dual CVVT Elantra SE, Automatic.Every Used Car purchased at Tarbox Hyundai includes a complimentary 1yr/15,000 mile Tarbox Auto Care maintenance plan along with coupons for other valuable offers! Recent Arrival! 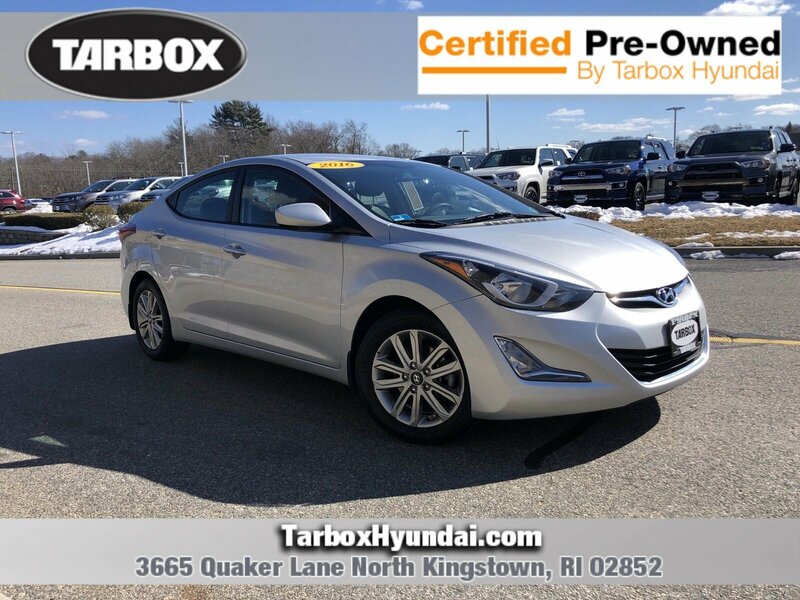 Odometer is 5517 miles below market average! 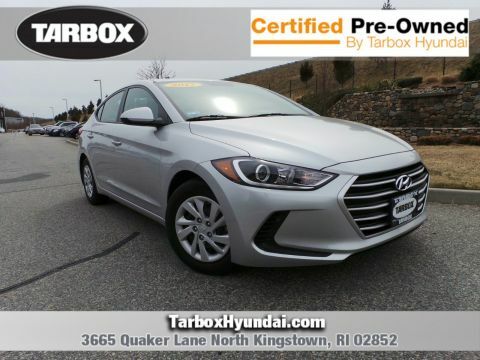 28/38 City/Highway MPGHyundai Certified Pre-Owned Details:* Limited Warranty: 60 Month/60,000 Mile (whichever comes first) from original in-service date* Warranty Deductible: $50* 150+ Point Inspection* Powertrain Limited Warranty: 120 Month/100,000 Mile (whichever comes first) from original in-service date* Roadside Assistance* Vehicle History* Includes 10-year/Unlimited mileage Roadside Assistance with Rental Car and Trip Interruption Reimbursement; Please see dealers for specific vehicle eligibility requirements. 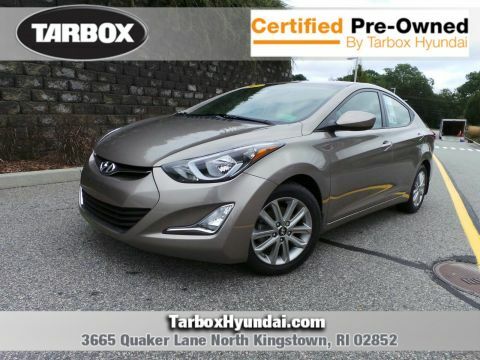 10-Year/100,000 Mile Hybrid/EV Battery Warranty* Transferable WarrantyAwards:* 2016 KBB.com Best Buy Awards Finalist * 2016 KBB.com 5-Year Cost to Own AwardsCall or Email Tarbox Today To Check For AVAILABILITY!! !